We just can’t get enough of sushi. The small, Japanese rice rolls are simply too delicious – and they look so incredibly pretty, too. 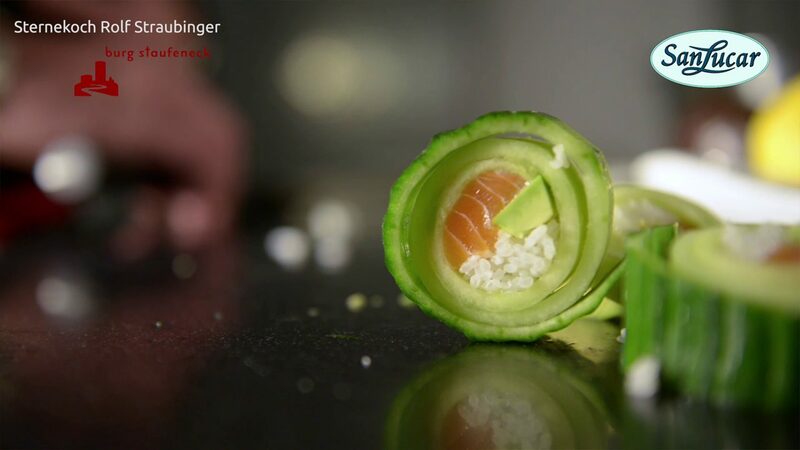 With this recipe, we’re going to show you that the preparation of artful sushi is not so difficult. The idea for this is by none other than the Star Chef Rolf Straubinger. So let’s get busy with the rolls! Bring all the ingredients to a boil with 12.5g of arrowroot (maranta) meal, which has been mixed with one tablespoon of water. Pickle the rice with 65-70g of the cold sushi seasoning. 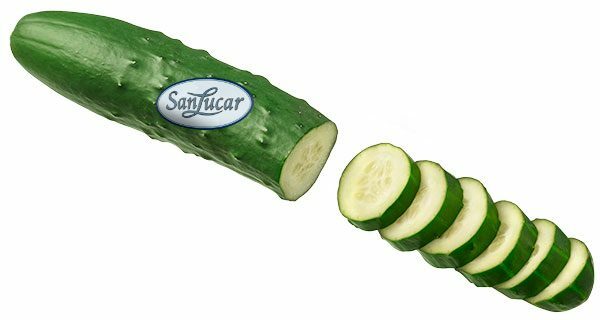 Wash one (or two) SanLucar Salad Cucumbers and cut into four pieces of 10 centimetres each. Carefully peel the skin off the quarters to form a cucumber band. Coat the inside of the cucumber skin or cucumber with Wasabi, place the fish on the end of the skin and sprinkle with the grated lemon peel. 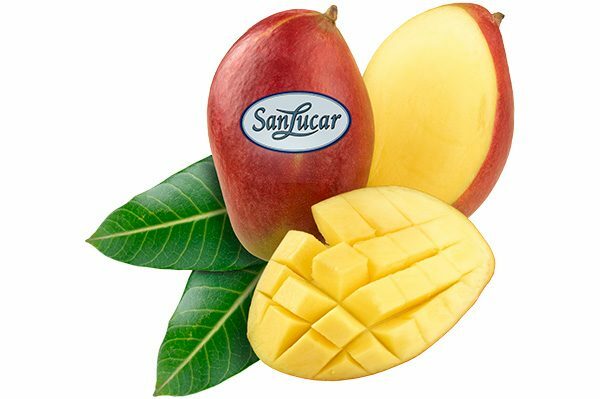 Then add rice, mango and an avocado slice and roll up the cucumber skin. Cut into bite-size slices. Garnish with sesame and sesame varnish. Finished! Delicious! Brighten the winter: We’re making preserves!